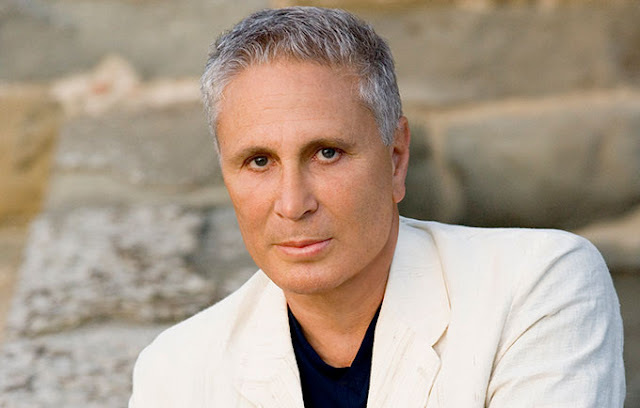 John Corigliano was born today, February 16, in 1938. He is a composer of classical music. His scores, now numbering more than 100, have won him the Pulitzer Prize, five Grammy Awards, the Grawemeyer Award for Music Composition, and an Oscar. He is a distinguished professor of music at Lehman College and the Graduate Center of the City University of New York and on the composition faculty at the Juilliard School. The Italian-American Corigliano was born in New York City. He studied composition at Columbia University and at the Manhattan School of Music. Before achieving success as composer, Corigliano worked as assistant to the producer on the Leonard Bernstein Young People's Concerts and as a session producer for classical artists such as André Watts. Corigliano first came to prominence in 1964 when, at the age of 26, his Sonata for Violin and Piano (1963) was the only winner of the chamber-music competition of the Spoleto Festival in Italy. In 1970, Corigliano teamed up with David Hess to create The Naked Carmen. In a recent communication with David Hess, Hess acknowledged that The Naked Carmen was originally conceived by Corigliano and himself as a way to update the most popular opera of our time (Carmen). After he was awarded a Guggenheim Fellowship, Corigliano began teaching at the Manhattan School of Music and became a music faculty member at Lehman College. He credits his first two concerti for solo wind for both changing his art and his career. It was during the composition of his Oboe Concerto (1975) and especially his Clarinet Concerto (1977) that he first used an "architectural" method of composing. In 1974, he wrote his first film score for the documentary A Williamsburg Sampler. He later wrote the score for Altered States (1980) and his third film score for Revolution (1985). The award-winning score for Revolution is one of Corigliano's most impressive creations, although it is less known, as it was never released in any recorded format; it has existed in a bootleg form until Varese Sarabande officially released the score for a limited time in December 2009 through their CD club, and then as a regular release in 2010. Corigliano later used portions of the score in his first symphony. For flutist James Galway he composed his third wind concerto, titled Pied Piper Fantasy, which premiered with the Los Angeles Philharmonic (1982). In 1984, he became Distinguished Professor of Music at Lehman College and left his position at Manhattan School of Music in 1986. In 1987, Corigliano was the first composer ever to serve as Composer-in-Residence for the Chicago Symphony Orchestra. During his residency, he composed his first symphony, which was inspired by the AIDS epidemic and to honor the friends he lost. His first symphony won him the University of Louisville Grawemeyer Award for Music Composition in 1991 and his first Grammy Award for Best Classical Contemporary Composition in 1992. Corigliano's first and only opera, The Ghosts of Versailles, was the Metropolitan Opera's first commission in nearly three decades, celebrating the company's 100 anniversary. The opera was a huge success at the premiere and received the International Classic Music Awards Composition of the Year award in 1992. In 1991, Corigliano became faculty member at the Juilliard School. In 1995, he was commissioned to write String Quartet (1995) by Lincoln Center for the Cleveland Quartet, which won him his second Grammy Award for Best Contemporary Classical Composition. Corigliano's fourth film score was for François Girard's The Red Violin (1997) which won him his second Academy Award nominations and the 1999 Oscar for best film score. Portions of the score were used in his violin concerto (2003), written for Joshua Bell, who premiered it on September 19, 2003, with the Baltimore Symphony Orchestra. In 2001, he received the Pulitzer Prize for his Symphony No. 2 (2001). In 2011, Corigliano's song cycle One Sweet Morning premiered at Avery Fisher Hall by mezzo-soprano Stephanie Blythe and the New York Philharmonic, to commemorate the 10th anniversary of the September 11 attacks. Most of Corigliano's work has been for symphony orchestra. He employs a wide variety of styles, sometimes even within the same work, but aims to make his work accessible to a relatively large audience. Many of his works have been performed and recorded by some of the most prominent orchestras, soloists, and chamber musicians in the world. 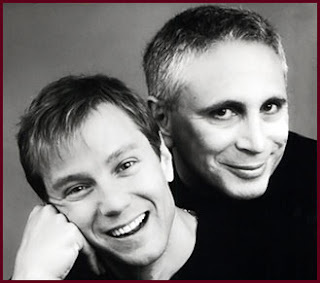 Corigliano is married to composer Mark Adamo. The two were married in California by the conductor Marin Alsop in August 2008 (prior to the enactment of Proposition 8).